I have some really exciting news to share with you today. Regular readers of my blog will know that I recently reviewed some Bobux Shoes for Bud. I absolutely loved them, and so did Bud. Their shoes are excellent quality and really stylish, perfect for your little ones, and a great way to get away from boring black school shoes. 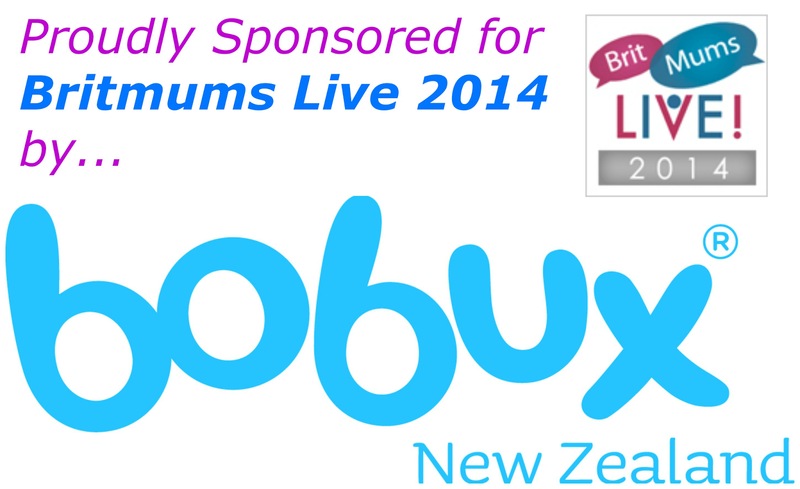 I'm delighted to tell you that Bobux have kindly offered to sponsor me to attend BritMums Live this year. Despite blogging for two and a half years it will be my first time attending the 'main event' for parent bloggers and I'm so excited! It will give me the opportunity to meet lots of other bloggers, some of whom I've been talking to online for a few years and have never met, attend some interesting seminars and spend a couple of days with some great friends. Can you tell I'm looking forward to it? In return for sponsorship I'm going to be bringing you posts featuring Bobux throughout the year and you'll be able to see their badge, with a link to their website in my sidebar. It was really important to me to be sponsored by a company who I believe in, I'd rather have not been sponsored if the alternative was a company who I didn't feel strongly about. The quality of Bobux' shoes, their family ethos and their commitment to children's foot health means that I'm fully committed to representing them at BritMums Live, if you're attending please feel free to grab me for a quick chat about them! If you'd like to learn more about Bobux, why not check out their lovely website, follow them on Twitter or like them on Facebook.